Is that the old FROG Fairey FD2 kit? You've made a SUPERB job of it if so! That just looks so perfectly French. Good show! Didn't they lend a couple to the Brits for the record-breaking flights? Apparently they gave them a Fairey designation to keep-up national morale. Same question here. If it's the case, then the result is awesome! But it's looking great (and very French), nevertheless! That is great!!! Super work, I saw it over in the Whiffies nom thread. And the red airbrake markings are totally Dassault, aren't they? Owing to the current financial difficulties, the light at the end of the tunnel will be turned off until further notice. Great job on the old FROG! Yup, was there a reason for it, other than it gave them a "look" ? Pass. Maybe a l'Armee de l'Air ruling? 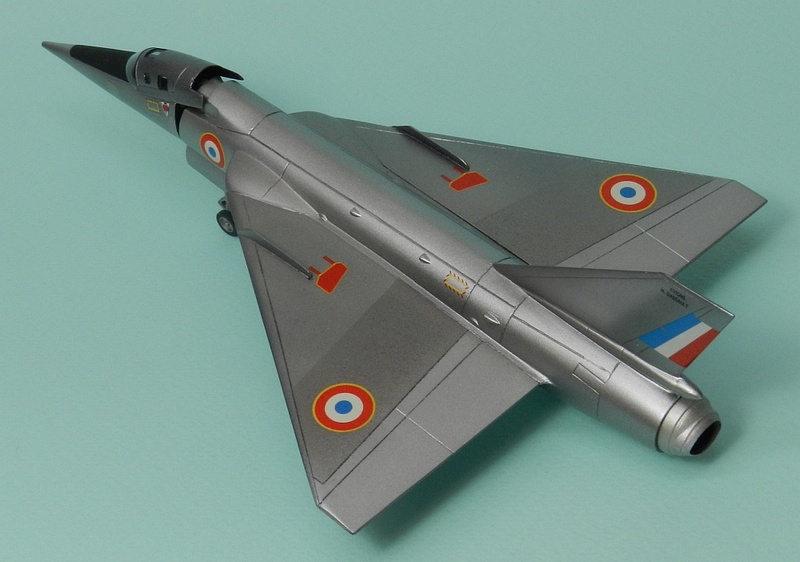 But only Dassault designs seem to have their brakes set into the upper surface of the wings so maybe it only applied to them?